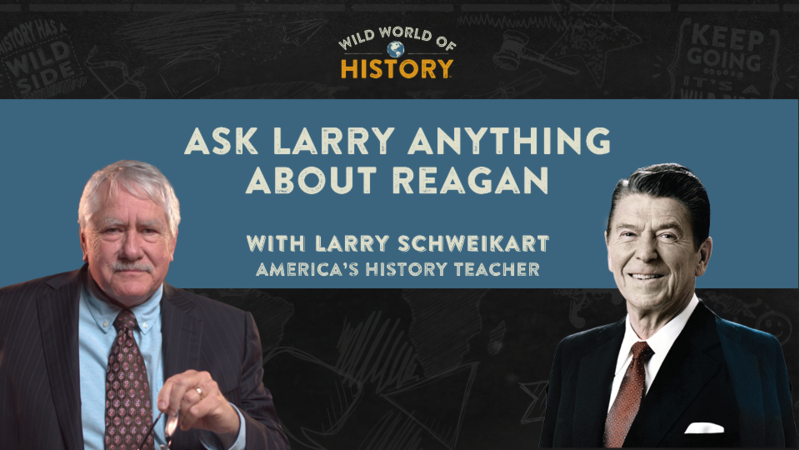 Professor Larry had special access to a ton of never-before-seen information to write his definitive history of Reagan, but not everything could make it into the book. And, as an award-winning professor, he knows that YOU have QUESTIONS he could never anticipate. Join Professor Larry for this special livestream webinar where he share information not in the book and take your questions LIVE!. Make sure that you send in your questions BEFORE the session begins so that Professor Larry can prepare and to increase the likelihood that your question gets answered. Please provide your email address so we can register you for this webinar. One last step before we can register you for this webinar. Registration information for this webinar was sent to . Make sure the email arrives in your inbox: either add "support@wildworldofhistory.com" as a safe sender to your email platform, or if you use Gmail, drag our email into your Primary tab.